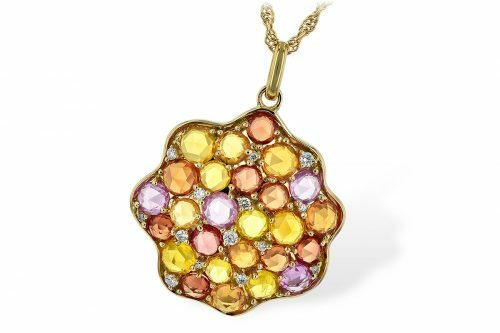 A large sunny round citrine is wonderfully surrounded by yellow gold halos in this celestial pendant. 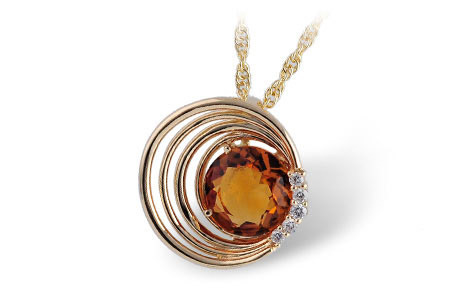 This pendant is geometrically designed and is accented with 5 small diamonds to highlight your beautiful Citrine. The pendant comes with an 18 inch cable chain with a lobster clasp. 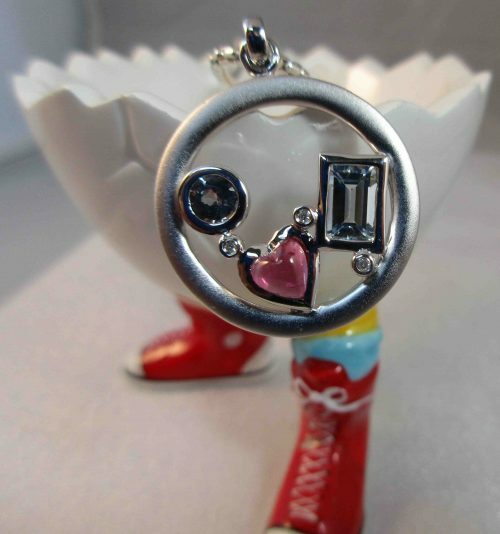 There is a matching ring and earrings available for this necklace. 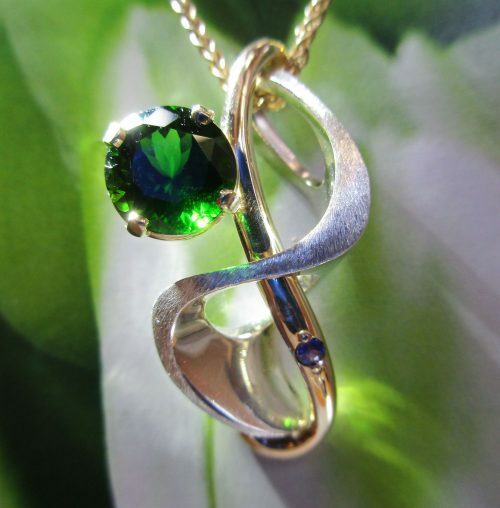 This style is also available with Amethyst in 14k White Gold.